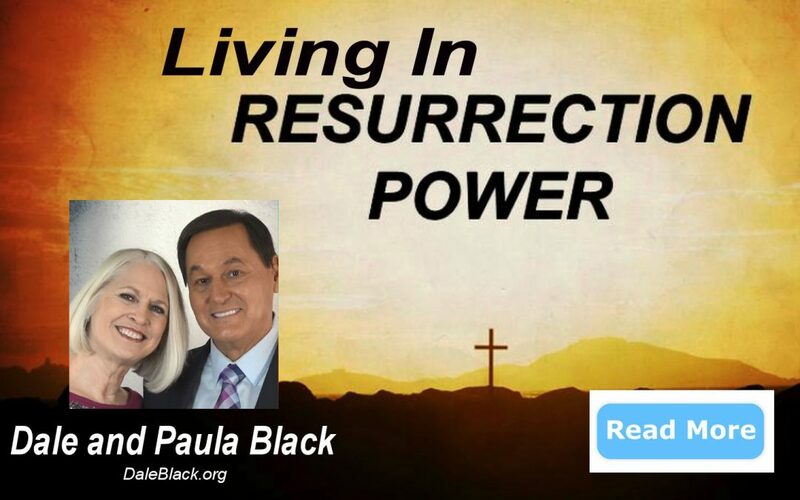 Living In Resurrection Power - Dale & Paula Black - Capt. Dale Black - Author of "Flight To Heaven" and "Life, Cancer & God"
Once again we are approaching “Resurrection Sunday.” With all the cares of this world and the distractions of life, it is easy to give this annual event nothing more than a mental ‘hat tip’ and move through the celebration enjoying some spiritual entertainment, a good meal and family gathering. We often get our eyes, and more importantly our hearts, off the revelation of what this event represents. As a born-again believer, Resurrection Day is the MOST important day in human history. It is the most critical day in our eternal life. Someone once said, “If Jesus Christ is still in the grave, nothing really matters. But, if Jesus Christ came out of the grave, rose victorious… then nothing but that really matters.” In 1 Corinthians 15:14, Paul states, “And if Christ is not risen, then our preaching is empty and your faith is also empty.” Wow. If Jesus had not risen from the grave, you would have nothing to base your faith upon… nothing to hope for after this life… and access to nothing that Heaven offers while on earth. Praise the Lord that is not the case. Looking further at verses is 17 and 18, Paul continues, “And if Christ is not risen your faith is futile; you are still in your sins!” This would be a tragedy beyond measure. The resurrection of Jesus from the dead, was the seal on the deal that Christ made with mankind. The resurrection of Jesus Christ is more than just an event that happened in history. Through that event, God released supernatural power in Jesus that is also in every person who puts their trust in Jesus as Savior. When you were born-again, the resurrection power of Christ began its work in you, to give you a new spirit—a reborn spirit with the resurrection life of Jesus in it. The seed of that power is in you and standing by to release power to accomplish all that God wills for your life. Sadly, many seldom experience the victory offered because they don’t release that supernatural power to accomplish all that God wills for them. As a born-again child of God, you have resurrection power available to release in your life, every day. Much like a car battery that sits in the car untapped unless the car is turned on and accelerated. The power is there, but not accomplishing anything without a demand. The same resurrection power that brought Jesus from death to life is available in you, and to you. And if you tap into it, you’ll see an amazing transformation in your own life. Do you desire the things God desires? Like the salvation of a loved one? (1 Timothy 2:3-4). Healing from sickness or disease? (Psalm 107:19-21). Deliverance from a sin that plagues you? (Romans 6:8,14). Strength to be a witness? (Acts 1:8,22). Power to overcome an attack from the enemy? (1 John 5:4). And the list goes on and on. Your hope of the resurrection isn’t just for the future when you physically die and go to heaven; it’s also for now, while you’re living on earth and struggling with sin. Make use of that God-given power to help you overcome sin right now, and every day you’re alive. Regularly confess your sins, repent of them, and embrace the forgiveness and grace God offers you to keep growing. Instead of pursuing hope through performing religious rituals, believing right doctrines, or doing good deeds, realize that those things are valuable yet can’t produce hope. Place your hope in a dynamic relationship with Jesus. As you live for Him, relying on His resurrection power everywhere you live and work. Instead of focusing on what you can do for God, focus on what God can do through you. Ask God to help you see your life from His perspective. Look beyond this fallen world’s values (which are only temporary) to what has eternal value. Base your decisions—for all aspects of your life—on what matters most in eternity. Make the most of your time here on earth, keeping in mind that it will soon be over and you’ll be accountable for how you used your time here. You only have one life—make it count. Remember, death must always precede resurrection. Be willing to sacrifice whatever selfish desires and agendas you have that conflict with God’s will and purpose for your life. Decide to crucify your selfish attitudes and behaviors, so God will raise you to new life by transforming your attitudes and behaviors into healthy ones that will help you grow to be more like Jesus. Understand that, physically, you’re born and live until you die, progressing toward physical death. But spiritually, you’re dead until you’re made alive through a relationship with Jesus, progressing toward eternal life. Just as the resurrection itself was impossible for anyone but God, the power behind the resurrection will take you into situations that are impossible for you to deal successfully with on your own. Expect God to challenge your faith when you ask for His resurrection power in your life. But know that if you trust Him, you’ll experience greater adventures than you can imagine. Make full use the authority you have as a Christian, to lead other people to eternal life. The greatest power on earth is to see a person become born again. Remember, it’s not your power that saves them, it’s the Holy Spirit Who works through your witness, testimony and prayers. So, as valuable as it is to minister to people’s physical needs, don’t stop there. Share the Gospel message with other people as often as you can. By doing so, you’ll be helping to release God’s resurrection power into their lives. Every day, continue to pursue God passionately, and your passion for Him will spark the interest of others around you who can pursue Him for themselves. The celebration of the resurrection of Jesus Christ is celebrating the most important event in human history. As we approach this special day of remembrance and celebration… truly celebrate what God has given to you. And the best way to celebrate it, is to use it! Always remember that, with God nothing is impossible! Be sure to join us on April 14th starting at 10:00 AM to hear from Special Guest, Captain Dale Black. Dale is a motivational speaker, author, personal life coach, business coach, and a minister. 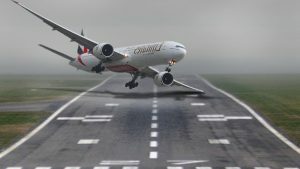 He is also a former commercial pilot and airline pilot instructor who has flown all over the world and trained thousands of professional pilots. At the age of 19, Dale was the sole survivor in an airplane crash and experienced a trip to Heaven. His story is one that will not be forgotten. Make your plans to attend and be sure to bring a friend. You don’t want to miss this! 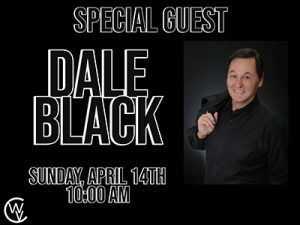 *Watch Dale Black LIVE Streaming Video from World Victory Church: Dale and Paula will be speaking at World Victory Church in Moody, Alabama at 10:00 am on April 14, 2019. Click the image to watch live or watch via this amazing church video archive. Do you want to partner with Dale & Paula? Help us by clicking LIKE, SHARE & SUBSCRIBE at our YouTube Channel “Dale Black Ministries”. P.S. Share the good news…. Forward this newsletter to a friend! 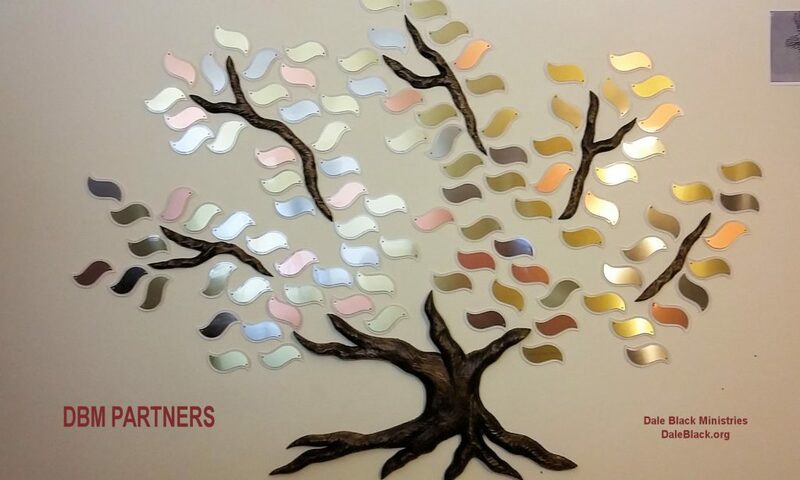 *The Tree Of Life – Add your name to the TREE OF LIFE with a recurring donation of $85 per month or a one-time gift of $1,000. Together we are reaching the lost and the unchurched for the Lord Jesus. Ministering to thousands every day in 194 countries. You can help. Learn more about the Tree Of Life Project. *If you would like to DONATE to help the gospel go forward, you can give ONLINE or by MAIL. To give online, click on the DONATE button above. If you prefer to give with Check or Money Order, please make your donation payable to: Dale Black Ministries * P.O. Box 130085, Carlsbad, CA 92013. To make a donation or place an order by phone, call: 951-526-2101 and leave a message. Someone from our volunteer staff will call you back. Thank you very much, and may God’s blessings be upon you and your family. We’re praying for you, partners! Sale: “How God Heals” by Capt. Dale Black, copyright 2015. 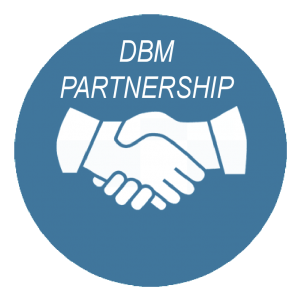 Save 50% by ordering through the DBM Store now. Thank you for this life-infusing message drawing “Amens” all through! This teaching is so empowering to me and should be to every believer. The evidence is so strong that you are firmly connected to the Vine. Thank you from us that read. watch and listen online – God Bless You! !